Why you shouldn’t assume what you think is “old” or “folk” or “governement” is public domain. 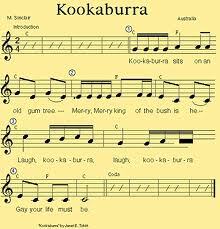 READ HERE about the Kookaburra case that cost Men at Work, an Australian band, 5% royalities to the Australian Girl Gudes for “Kookaburra Sits on the Old Gum Tree.” © 2011 – 2013, admin. All rights reserved.